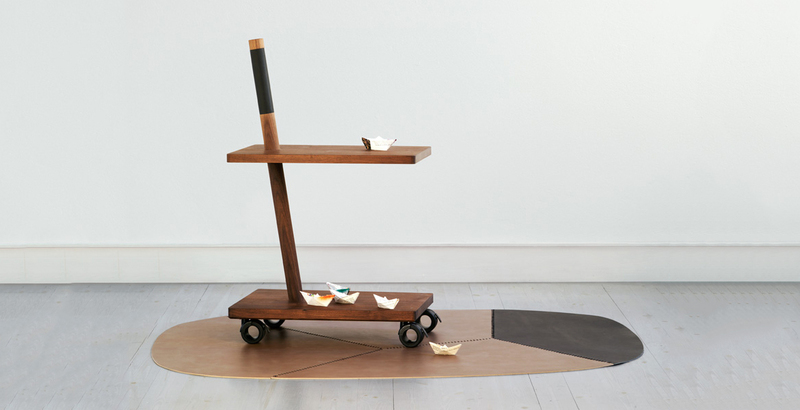 It is a cart, light and essential, which is on the verge of its strength and balance possibility. The shape similar to a push scooter or a Child’s toy to carry. 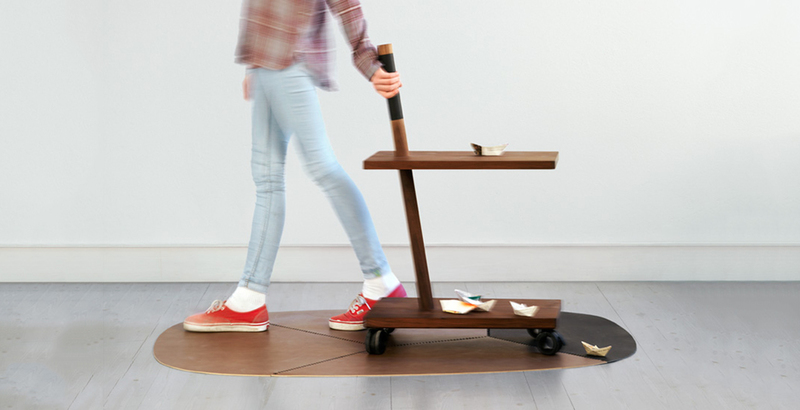 Made of all-wood black walnut with handle covered with leather, the cart is composed of three parts; two shelves and one pole which are easy assemble so that Quac is shipped disassembled in a small package to optimize space and costs.